The City of Woodstock offers employees two medical plan options through UMR. The rising cost of health care continues to make it harder to find affordable medical benefits. Our goal is to offer affordable benefit options that also ensure you have access to high-quality services. The first option has a deductible expense of $500 for employee only coverage, $1,000 for employee plus spouse coverage or employee plus child coverage, and $1,500 for family coverage. The second option has a deductible expense of $1,500 for employee only coverage, $3,000 for employee plus spouse coverage or employee plus child coverage, and $4,500 for family coverage. 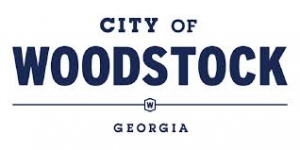 Once you have incurred an out-of-pocket of either $500 or $1,500 (per covered member) the City of Woodstock will cover all remaining eligible in-network medical expenses. The UMR Choice Plus POS is a traditional health plan. Employees pay a $25 – $35 office visit copay for in-network doctor visits participating in the UHC Choice Plus POS Network. Employees can also access care from a UMR/UHC Premium Designated Provider. This program recognizes doctors who meet standards for quality and cost efficiency. By utilizing these premium doctors, you will also receive a $10 discount on your PCP and Specialist office visit copays. Certain other services are covered after the deductible is reached. This plan allows you to visit any in-network provider without a referral. If you use out-of-network providers, you may have to file your benefit claims yourself or pay for services and wait to be reimbursed by UMR. The information contained in this presentation is an overview of your benefits. If you have specific questions regarding a provider or procedure, please call UMR Customer Service at the number listed on the back of your ID Card. If you do not have an ID card, please call (800) 826-9781 or refer to the Medical & Rx SPD. How do you find a Choice Plus POS in-network provider?